Push connect fittings need the tubing to go in straight or a leak may be possible. Tube clips keep the collet on the fitting locked out to hold the tube into the fitting to help prevent leaks. Anytime you have a tight bend going into a fitting we highly recommend tube clips for safety. Available in ¼" and ½" sizes. Works as designed. A little more difficult to install the tubing into the fittings when you install them but just lube up the end of the tube a bit with silicone lube and you are good to go. Easy to install for a little more peace of mind. 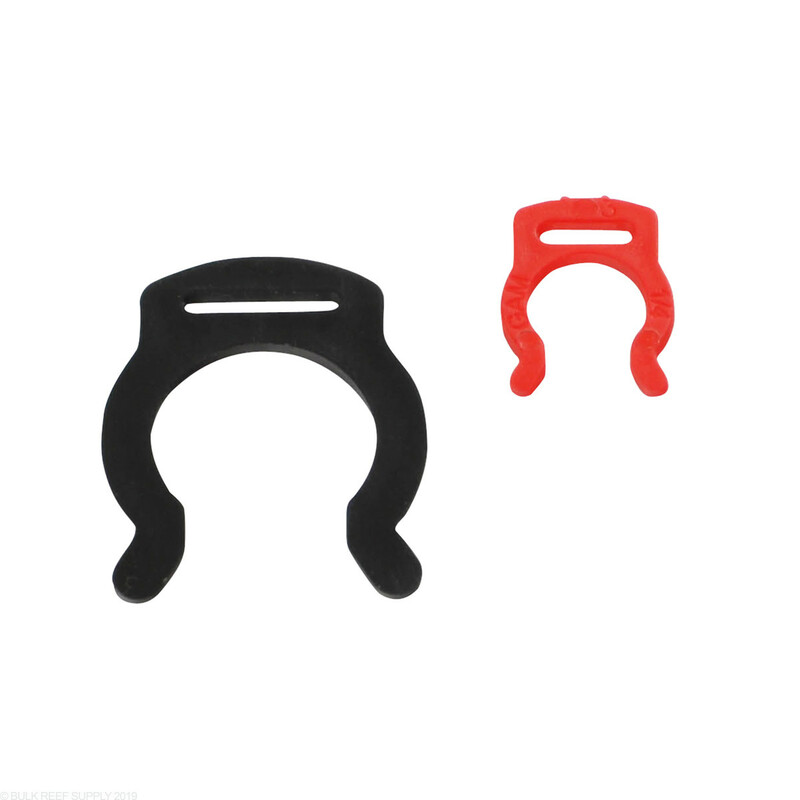 They're really not needed on the high quality double o-rings connectors sold here, but I just wanted these clips installed. Good thing they're slim, it's a tight fit! 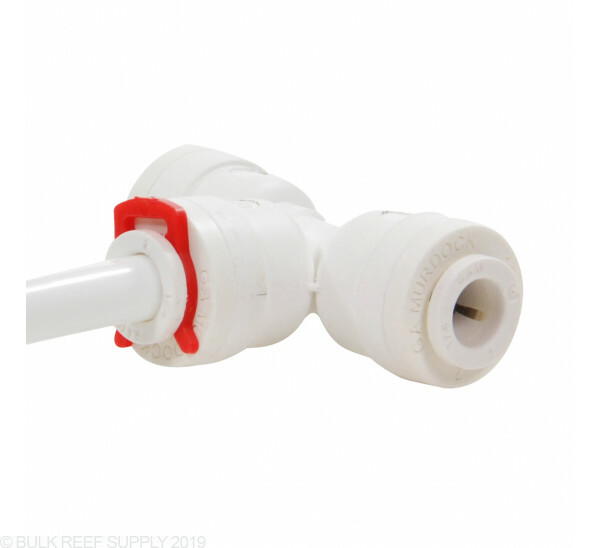 If you have regular John Guest connectors from a RO unit or connectors not purchased through BRS, these will help some but are a little slim. These little simple clips truly do the job! A bit tough for big hands to manipulate but once you get the hang of it they are a great way to lock all hoses in place for a tight secure fit. $8 got me piece of mind on all the fittings on my RO/DI, AND refrigerator. Still have 20+ spares. I purchased 50 of these with a 150gal RO upgrade kit they worked great! lust a bit hard to get locked on in tight spaces I had a few fly away but found all but one, I was a bit surprised when one fitting on the second RO tube was leaking a bit after installing a clip on it I have never had BRS RO fitting leak with out a clip, but I fixed it quickly by removing the clip and tube and reseating it it's cheap insurance against water damage! I wish I could find these in other sizes for household PEX it would give ,me peace of mind after closing up a wall not being to see what was going on if a leak were to develop until damage was done, BRS if these are available in 1" to 2 1/2" sizes I would buy them from you since I install a lot of pex. Not much to say. Works as designed and works well. For $.18 each this is well worth the investment to prevent an RO leak that could lead to THOUSANDS of dollars in damage. I have a 3/8 pex tube going into quick connect collet. 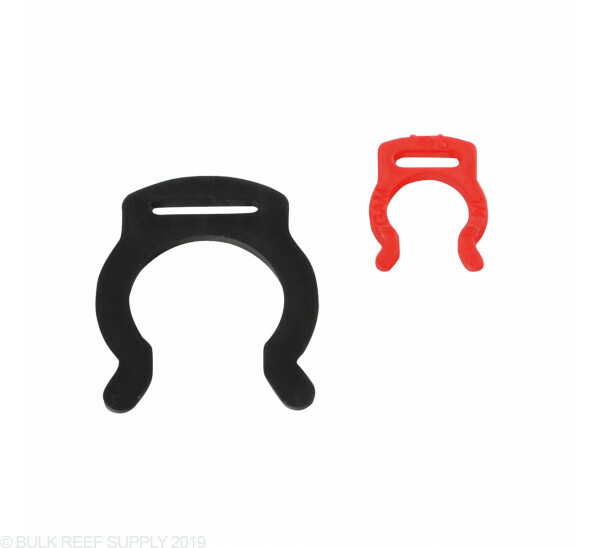 What size tube clip should I use? 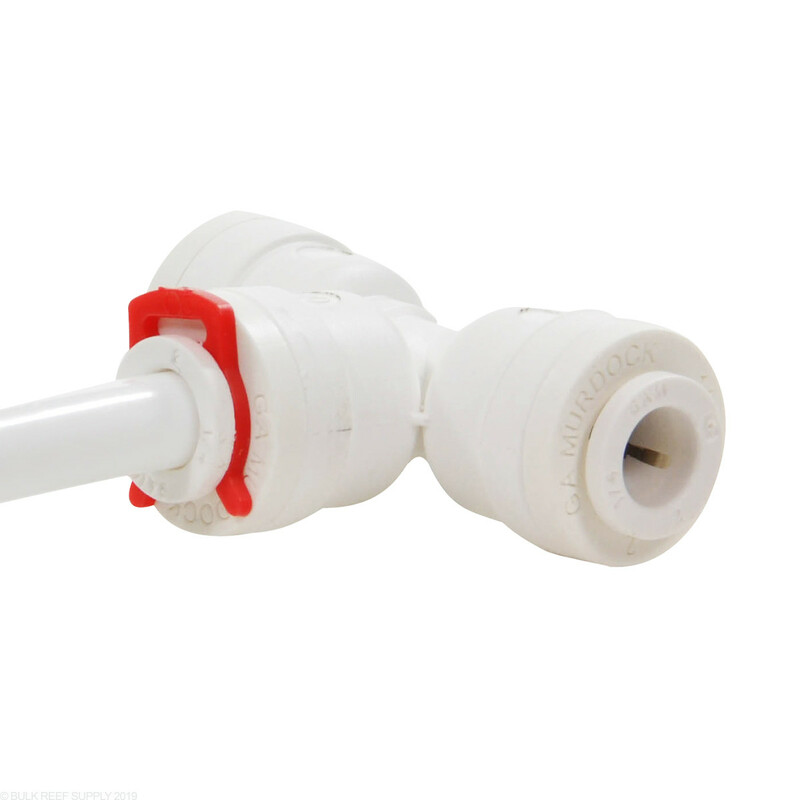 If using 3/8" Pex tubing and fittings, you'd definitely want to stick with 3/8" components. 3/8" is a fairly uncommon size for our applications, and I'm afraid that we currently only carry 1/4" and 1/2" tubing clips. I'd like to know what size are the tubing and connections on the BRS RO/DI filter systems in order to purchase the correct size clips. All of the BRS RO/DI systems use 1/4" tubing!